Proudly grown and milled in the USA! llama fiber next to your foot. fiber is lanoline free. It is a hollow fiber making it light weight and moisture repellant. Our Llama Socks are made from the fiber of llamas raised on our Montana ranch and machine spun in the USA. 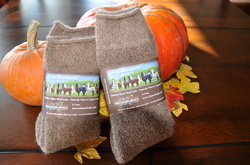 The Llama Fiber Socks are not bulky and can be worn for work or play. 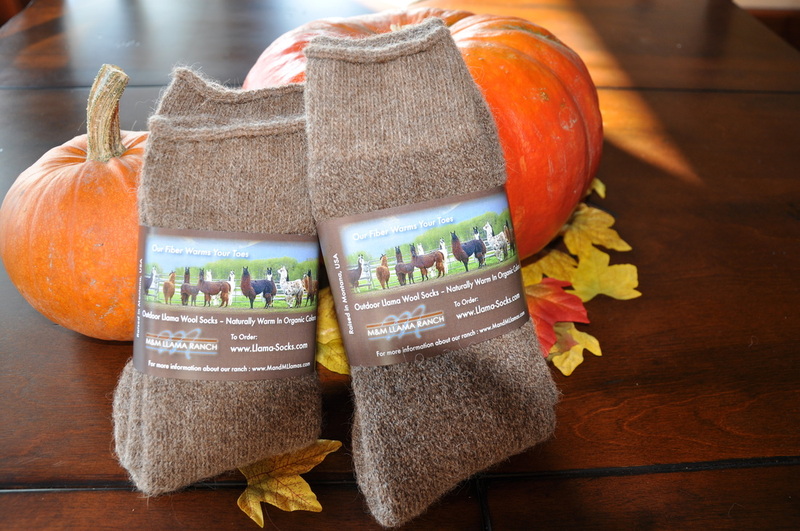 The natural wicking properties of llama fiber moves moisture away from your feet to keep you warm and dry. Try them now! We would love to hear from you. Email us your selfies today!